Perpustakaan FT UGM memiliki kelompok belajar bahasa Inggris. Selain bertemu muka, juga memiliki grup di whatsapp. Pada grup ini, anggota dapat berdiskusi tentang apapun, dan diusahakan dalam bahasa Inggris. Tentu saja bisa juga dalam Bahasa Indonesia, jika dirasa sulit. Yang penting mencoba menulis/bicara dalam Bahasa Inggris. Bertanya tentang artikata, menyusun kalimat, sekedar say hello, juga tidak dilarang. berikut log diskusi pada grup tersebut. [11/30/2015, 3:45 PM] Simpatiku: Good afternoon. This is our english club whatsapp grup. Hope will help us to improve our english skill. .. two URL, recommended by Mbak Leni, related with speaking or presentation skill. [11/30/2015, 4:00 PM] Mahasiawa Firto Cio: So we can practise our English just not limited to the time of class..
[11/30/2015, 4:00 PM] Simpatiku: Yui Bro Firto. [11/30/2015, 4:01 PM] Mahasiawa Firto Cio: Yeah... That's all we need the most..
[11/30/2015, 4:01 PM] Simpatiku: Mr. Jai.. How about mr. Rusli, mrs. Retno and mrs. Heny? [11/30/2015, 4:02 PM] Mahasiawa Firto Cio: What a nice achievement that we are in a particular forum today since our brilliant brother mas pur created it..
[11/30/2015, 4:09 PM] Simpatiku: Welcome Mr. Pada Lumba..
[11/30/2015, 4:10 PM] Mahasiawa Firto Cio: Excuse me Mas Pur, have you invited Putu Deni? [11/30/2015, 4:10 PM] Simpatiku: not yet. [11/30/2015, 4:16 PM] Simpatiku: Mr jai.. I don't have mrs. Heni phone number. [11/30/2015, 4:31 PM] Simpatiku: you are welcome Bro. [11/30/2015, 4:31 PM] Simpatiku: let's try to write in English, here. [11/30/2015, 5:28 PM] Simpatiku: Welcome Catrine..
[11/30/2015, 6:37 PM] Simpatiku: On Thursday 15.30 PM, we have a plan in EC. We will practice a presentation. We invite all of you, to join. 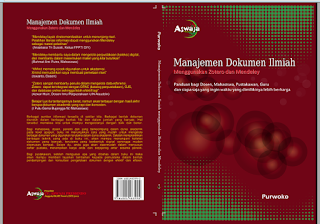 [12/1/2015, 10:10 AM] Simpatiku: This book is available in engineering library. [12/3/2015, 3:45 PM] Simpatiku: Hi... I am here..
[12/3/2015, 4:24 PM] Mahasiswa Rusli: Permission Mr Pur. i can not join to EC today. [12/3/2015, 5:03 PM] Mahasiswa Leni A Mpkd: Im sorry Anna and i also cant attend our english club class today due to another class at our department..hopefully we will join the class next week..
[12/3/2015, 6:12 PM] Simpatiku: Welcome mr. Bagus and miss Pauline. [12/3/2015, 6:14 PM] Simpatiku: Mbak Leni.. Today we practice bring the short presentation. Next.. Chatrine will bring the presentation about her country, Uganda. [12/4/2015, 5:54 AM] Simpatiku: good morning... Wish you all the best..
[12/4/2015, 6:01 AM] Simpatiku: Yes.. and Catrine, is a special member of this library. She is the first special member in this Club. Thanks all. [12/4/2015, 6:09 AM] Mahasiawa Firto Cio: And Pauline as well... They both made the class more colorful.. Isn't it, guys? [12/4/2015, 6:33 AM] Simpatiku: Yui. [12/4/2015, 8:09 AM] Simpatiku: Pauline also has a special story about jogja heritage walk. [12/4/2015, 8:19 AM] Mahasiswa Paulina Nainggolan: maybe I can share my experience in jogja heritage walking in the next meeting. [12/4/2015, 10:07 AM] Mahasiawa Firto Cio: Excuse me Katrina, what do you mean with "Clud"..
[12/4/2015, 10:08 AM] Mahasiawa Firto Cio: Excuse me Katrina, what do you mean with "Clud"?? [12/5/2015, 8:03 AM] Mahasiswa Paulina Nainggolan: I think what Katrina mean was "club". [12/5/2015, 8:06 AM] Mahasiawa Firto Cio: She may mistyped the word..
[12/5/2015, 8:07 AM] Mahasiawa Firto Cio: Ahmm I mean, maybe she put it mistyped..
[12/5/2015, 8:08 AM] Mahasiawa Firto Cio: Paul, can you get my point?? I'm a bit confuse with my sentence..
[12/5/2015, 8:15 AM] Mahasiawa Firto Cio: Mr Jay, or anyone else.. Do you have any suggestion. How do you say this "mungkin dia salah ketik" in english..
[12/5/2015, 8:15 AM] Mahasiawa Firto Cio: ?? [12/5/2015, 8:19 AM] Mahasiawa Firto Cio: Haha... Yeah.. Typo..
[12/5/2015, 8:22 AM] Mahasiawa Firto Cio: We don't limit our speech just by its form..
[12/5/2015, 8:24 AM] Mahasiawa Firto Cio: As long as we speak and it's understandable then there's not a big deal... We can correct each other..
[12/5/2015, 3:59 PM] Mahasiawa Firto Cio: Finish your meal..
[12/5/2015, 4:16 PM] Mahasisqa S3 Jai: Hahahha..
[12/5/2015, 4:35 PM] Mahasiawa Firto Cio: MK? Where is it? [12/5/2015, 4:38 PM] Mahasiawa Firto Cio: Owh.. Hahaha..
[12/5/2015, 7:20 PM] Emi Asec: Cool. Any plan you do tonight? [12/5/2015, 7:33 PM] Simpatiku: Mbak Emi is a founder of ASEC, the most famous english club in UGM. [12/5/2015, 7:54 PM] Simpatiku: New library, new spirit. Jogjakarta new library building, with various facility and Services. [12/5/2015, 7:54 PM] Mahasiawa Firto Cio: I wish to have you in our next class..
[12/5/2015, 8:03 PM] Mahasiawa Firto Cio: Cherry..
[12/5/2015, 8:15 PM] Emi Asec: Library service is an update topic I guess. Yesterday Mrs.Sri Sukarsih was on TV Show Sentilan Sentilun. I watched it. She said that Indonesia's rate on reading is 0-1 book per week. Still has to compete with Singapore, Malaysia, and Philliphine with at least 4 books per week. [12/6/2015, 4:24 AM] Simpatiku: Rate on reading, is not only related with "minat baca", but also related with "ketersediaan buku yang diminati". [12/6/2015, 9:25 AM] Mahasiswa Paulina Nainggolan: Have a great Sunday :) keep the spirit !!! [12/6/2015, 9:55 AM] Simpatiku: Wedding ceremony, near my house. [12/6/2015, 10:10 AM] Simpatiku: Haha. Yui.. "makan besar", what is in English? Big eating? [12/6/2015, 10:12 AM] Mahasiawa Firto Cio: Haha.. That's why I left it in Bahasa.. I have no idea about it. [12/6/2015, 2:39 PM] Mahasiswa Haidar: You can sit at the front? [12/6/2015, 3:35 PM] Mahasiawa Firto Cio: Have your seat in front of me, please..
[12/7/2015, 7:38 PM] Simpatiku: Hi guys... Mr Bagus, one of the librarian in Eng. Faculty UGM, is a blogger. [12/7/2015, 7:52 PM] Mahasiawa Firto Cio: Wow... Really?? [12/7/2015, 7:52 PM] Mahasiawa Firto Cio: What is the advantage of being a bloger?? [12/7/2015, 7:53 PM] Mahasiawa Firto Cio: We can earn money from that?? [12/7/2015, 7:54 PM] Simpatiku: As a blogger, we can learn about writing. [12/7/2015, 7:54 PM] Mahasiawa Firto Cio: And how did you find him as a blogger? [12/7/2015, 7:55 PM] Simpatiku: Yes. We can earn money. But, be a good and honesty blogger. [12/7/2015, 7:55 PM] Mahasiawa Firto Cio: I've been heard about how people makes money from a blog..
[12/7/2015, 7:57 PM] Mahasiawa Firto Cio: Hhmm.. Yeah.. And I'm still wondering how the way..
[12/7/2015, 7:58 PM] Mahasiawa Firto Cio: I hope Mas Bagus could share his knowledge about it..
[12/7/2015, 8:07 PM] Mahasiawa Firto Cio: Nice info..
[12/9/2015, 8:50 AM] Simpatiku: Yeah... Today is election day for governoor and "bupati".. Selamat memilih..
[12/9/2015, 8:29 PM] Mahasiawa Firto Cio: There will no more election day until next 5 years, i think..
[12/9/2015, 8:29 PM] Mahasiawa Firto Cio: That is the new regulation..
[12/10/2015, 4:32 AM] Mahasisea Catrine Mip: *Governor* @Mas purwoko. [12/10/2015, 8:07 AM] Emi Asec: No election in my region, Magelang. We still have a leader till some years ahead. [12/10/2015, 8:11 AM] Simpatiku: This is the result in my region, Gunungkidul. Ssst... I am originally from Gunungkidul.. The hidden paradise of Jogjakarta. [12/10/2015, 8:13 AM] Mahasiawa Firto Cio: O yess... Thank you Katrina for the correction..
[12/10/2015, 8:14 AM] Mahasiawa Firto Cio: Good morning everyone..
[12/10/2015, 9:52 AM] Mahasiswa Haidar: Wah udah terdaftar sebagai UKM toh? [12/10/2015, 9:53 AM] Simpatiku: Not yes, still a club. [12/10/2015, 9:53 AM] Simpatiku: Not yet UKM. [12/10/2015, 10:36 AM] Simpatiku: ups, An Invitation. [12/10/2015, 11:03 AM] Mahasiawa Firto Cio: Diusahakan mas nanti merapat ke perpus siang ini..
[12/11/2015, 4:09 PM] Mahasiawa Firto Cio: I think it makes sense..
[12/11/2015, 5:46 PM] Emi Asec: Agree. That is why we should encourage academicians as soon as possible to publish their researchs, share the knowledge through library and such of it. [12/11/2015, 6:47 PM] Emi Asec: Could be. It would be a great movement. [12/11/2015, 6:52 PM] Mahasiawa Firto Cio: Yeah... That is it..
[12/12/2015, 8:44 AM] Mahasiawa Firto Cio: Good morning group 😉, how are you?? [12/12/2015, 9:09 AM] Simpatiku: Hi bro and sist... What is your activities today? [12/12/2015, 9:29 AM] Emi Asec: This morning is awesome! Probably try to come on airforce show. [12/12/2015, 9:32 AM] Mahasiawa Firto Cio: Owh really? Interesting.. Where will it be held? [12/12/2015, 9:33 AM] Emi Asec: Museum Dirgantara, for free. But dunno the exact schedule. [12/12/2015, 9:35 AM] Simpatiku: What is the meaning of "dunno...."? [12/12/2015, 9:37 AM] Mahasiawa Firto Cio: ? [12/12/2015, 9:37 AM] Simpatiku: Ouw.. Like "bahasa slengekan"? [12/12/2015, 9:38 AM] Mahasiawa Firto Cio: Yes..
[12/12/2015, 9:38 AM] Mahasiswa Leni A Mpkd: Mr Pur?did we have class last thursday? [12/12/2015, 9:40 AM] Mahasiawa Firto Cio: Ummh... Thanks again, one more idiom i got. "No sweat"
[12/12/2015, 9:43 AM] Emi Asec: It means "you are welcome". It is an informal one too. [12/12/2015, 9:44 AM] Mahasiawa Firto Cio: Yeah... I got it..
[12/12/2015, 9:59 AM] Simpatiku: Mbak leni: Next thursday 17th Dec, And Catrine will bring a presentation about Uganda. And for the next..we can discuss again. [12/12/2015, 10:04 AM] Simpatiku: 👆 i think, faculty will held an UAS, start from 21st dec.
[12/12/2015, 10:06 AM] Mahasiawa Firto Cio: "Hold" what do you think Mba Emmy? [12/12/2015, 10:37 AM] Mahasiawa Firto Cio: Owh.. Thanks, at first I thought held only for the passive, like "the event will be held" ...... And it turns to be "They hold the event for today". [12/13/2015, 6:06 PM] Mahasiswa Pada Lumba: If i went somewhere with my son by motorcycle, i never forget to say, TIGHT YOUR HELMET PLEASE, is it correct sentence? [12/13/2015, 6:23 PM] Mahasisea Catrine Mip: Yup its correct bt some mistakes "when am going not if i went"
[12/13/2015, 6:37 PM] Mahasiawa Firto Cio: Hello.. Good evening everyone..
[12/13/2015, 8:00 PM] Mahasiawa Firto Cio: I forgot the schedule of the event from the main library. Whether tomorrow monday or tuesday? [12/13/2015, 8:09 PM] Mahasiawa Firto Cio: Ok... Thank you mas pur..
[12/13/2015, 8:38 PM] Mahasiswa Pada Lumba: Thank you katrin, what about the sentence ; tight your helmet, is it correct? [12/14/2015, 4:59 AM] Simpatiku: Catrine: A discussion about library roles. The title is "optimalizing a roles of academic library and librarian". [12/14/2015, 6:49 AM] Mahasiswa Pada Lumba: When discussion will be held? [12/14/2015, 7:18 AM] Simpatiku: Tommorow morning. Mr Firto and Mr. Alfa from FT will join to this discussion. Anyone else interesting to join? [12/14/2015, 8:01 AM] Simpatiku: @catrine: 09.00. We also sent an invitation letter to MIP students. Please contact Mr. Agus. [12/14/2015, 12:42 PM] Simpatiku: Using bahasa. [12/14/2015, 1:31 PM] Simpatiku: Caroline, at engineering library. She prepare the presentation for english club on thursday. [12/16/2015, 4:23 PM] Simpatiku: English Club, tommorow. Don't forget to join in this class. [12/17/2015, 9:19 AM] Simpatiku: Dont forget, to join our english club.. this afternoon. [12/17/2015, 2:59 PM] Emi Asec: Which room for the meeting, Sir? [12/17/2015, 3:29 PM] Mahasiawa Firto Cio: Owh.. Yeahh... Almost forgotten..
[12/17/2015, 3:41 PM] Mahasiawa Firto Cio: Yes.. Im heading..
[12/17/2015, 6:56 PM] Mahasiawa Firto Cio: Thank you everyone for sharing your time just now..
[12/17/2015, 8:43 PM] Simpatiku: Mr Rusli, what do you mean about PR2? [12/18/2015, 10:44 AM] Simpatiku: Welcome mr eddy subratha. All member: Mr Eddy is a programmer. He graduates from engineering faculty ugm. He interesting to join with our english club. Mr Eddy.. Let's speak.. Introduce your self. Hi everybody... How do you do? [12/18/2015, 10:57 AM] Sdc Eddy Subratha: Is it okay to use a local language to call someone like Mas Budi or Mbak Katrina? No need to hurry, at least I've proposed my wish... Thanks a lot..
[12/18/2015, 1:19 PM] Mahasiawa Firto Cio: I'm sure I can Katrina... All I need is a tutor, at least for some beginner moves..
[12/18/2015, 1:19 PM] Mahasiawa Firto Cio: I've been watching african dance even since before I was here..
[12/18/2015, 1:20 PM] Mahasiawa Firto Cio: And african music as well.. I love it very much..
[12/18/2015, 1:30 PM] Rahim Geografi: What a nice music...is this from africa...which part of africa? [12/18/2015, 1:38 PM] Mahasiawa Firto Cio: Find out at youtube mas Didi, there are a lot of african music would interesting you.... This song taken from Habib Koite's album..
[12/18/2015, 1:58 PM] Perpus Ugm Budhi San: Any suggestions, learning portal for tofl preparation ? [12/18/2015, 2:22 PM] Simpatiku: there are various URL for toefl test. [12/19/2015, 7:47 AM] Simpatiku: Hi all... Happy birthday for UGM. 66 year old. [12/19/2015, 5:49 PM] Simpatiku: Hello.. Anyone come to adisucipto air show today? [12/19/2015, 6:50 PM] Simpatiku: I dont know, caroline. Maybe 8 or 9 am. [12/19/2015, 6:58 PM] Mahasiswa Heni S3 Geomatika: i came to this event today. It is near from my boarding house. Tomorrow will be opened at 5:30 am for jupiter runway fun run schedulle. [12/19/2015, 7:08 PM] Simpatiku: Wow.. How about the procedure to enter the area? And where is the gate to enter? [12/19/2015, 7:15 PM] Mahasiswa Heni S3 Geomatika: tomorrow we still can watch the acrobatic show about f 16. it is amazing. [12/19/2015, 7:16 PM] Simpatiku: Ok. Thanks. 05.30 am, right? [12/20/2015, 6:55 AM] Simpatiku: Hii all.. I am sorry, for jogja library first opening, is not today but tomorrow. I am sorry. [12/20/2015, 12:38 PM] Mahasiawa Firto Cio: An updated info saying that there is an accident from the air force show.. Currently the event being momentarily closed..
[12/20/2015, 12:40 PM] Mahasiawa Firto Cio: Owh.. Are u there Katrina? [12/20/2015, 12:42 PM] Mahasiawa Firto Cio: Yeah.. Same to me.. My friend told me just now..
[12/20/2015, 12:53 PM] Mahasiawa Firto Cio: Are still there at the place, Mba Retno? [12/20/2015, 1:00 PM] Mahasiawa Firto Cio: Does it mean that the event has been closed by the accident? [12/20/2015, 1:00 PM] Mahasiawa Firto Cio: Owh. Okay, take care yourself Mba Retno..
[12/20/2015, 1:14 PM] Mahasiswa Retno Geo: Thanks...Mas Fine..
[12/20/2015, 1:28 PM] Simpatiku: Yes. I am in the airshow location when the accident. [12/20/2015, 1:33 PM] Mahasiswa Heni S3 Geomatika: i am so sad. i was at the location when the accident was happened. [12/20/2015, 2:40 PM] Simpatiku: The plan made by south Korea. Used by indonesian airforce for 2 years. [12/20/2015, 2:53 PM] Mahasiawa Firto Cio: The picture of both pilot and copilot, was it taken just awhile before the accident? [12/21/2015, 8:12 AM] Simpatiku: illustration on how to use at, on and in. [12/21/2015, 8:21 AM] Mahasiswa Heni S3 Geomatika: how about place? how we use at, on or ir? [12/21/2015, 8:21 AM] Mahasiswa Heni S3 Geomatika: how about place? how we use at, on or in? I have some expectation with English Club. I hope, I can improve my ability in speaking. So, I can explain, especially about the library to all, clearly. Second, I can write to explain about the library. [12/24/2015, 1:46 PM] Mahasiawa Firto Cio: Hey guys... How are you?? By the way, Could anybody help me?? [12/24/2015, 1:48 PM] Mahasiawa Firto Cio: "Hanya sesimple itu" how do you say it in english? [12/24/2015, 1:51 PM] Mahasiawa Firto Cio: Back to the question, does anybody know how to say that words in english? [12/24/2015, 1:55 PM] Mahasiawa Firto Cio: For the context description, we can take some participations in saving our health by a simple action. "Minum air putih saat bangun pagi, hanya sesimple (sesederhana) itu"
"Drink fresh water when you wake up. Simple, only that." [12/24/2015, 2:25 PM] Mahasiawa Firto Cio: "Just simple as it is", can it be so? [12/24/2015, 2:26 PM] Mahasiawa Firto Cio: Haissh.. "Can it be so" <-- what else is it?? Haha..
[12/24/2015, 3:29 PM] Mahasiswa Leni A Mpkd: How about '..just that simple..'? [12/24/2015, 3:32 PM] Emi Asec: Only = just, tapi sebetulnya maknanya beda. Bisa sj dipakai utk pertanyaan yg maknanya "meragukan sesuatu"
[12/24/2015, 3:35 PM] Emi Asec: A: Silahkan isi lembar formulir dan Anda berkesempatan memenangkan kupon hadiah ini. Please fill up the form and you have chance to win the coupon. You: Benarkah? Sesederhana itu (itu saja)? Really? Just to do it? That simple? Just us = hanya kita (tapi maknanya seperti bilang "jgn kasih tahu siapa2 ya cuma kita loh ya"
[12/24/2015, 3:41 PM] Mahasiawa Firto Cio: Bedanya memang sangat tipis.. Tapi akan terasa janggal untuk setiap padanannya.. Contoh : only God knows why. Sama Just the two of us..
Akan janggal terdengar kalau pake Just ->> God knows why atau sebaliknya. [12/24/2015, 3:44 PM] Mahasiawa Firto Cio: That is just how I'm thinking..
[12/26/2015, 4:07 PM] Simpatiku: ... Saling mempengaruhi antara teknologi dan seni, akhirnya akan menghasilkan bentuk baru yg sempurna pada ekspresi daj format media. [12/26/2015, 4:10 PM] Simpatiku: Anyone can help me, translate the quote to Bahasa? [12/27/2015, 8:14 AM] Mahasiawa Firto Cio: The next phase of the digital revolution will bring more new ways to combine technology with creative industries. Interplay between technology and art, will eventually result in a new form that perfect expression DAJ media format. This innovation will be raised by those who can connects beauty to engineering, technology to humanity, and poetry to processors. [12/29/2015, 7:46 AM] Mahasiawa Firto Cio: What a super fantastical video.. I wish your marriage goes fantastic as the video is even more, for ever after..